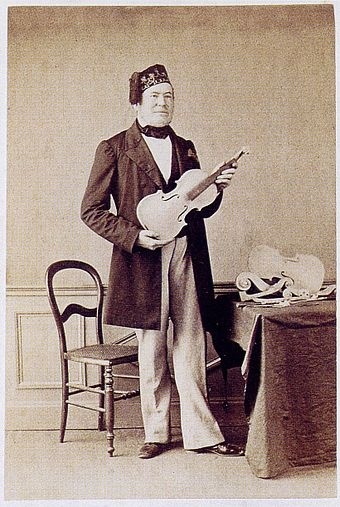 Master luthier, inventor, and general badass, Jean-Baptiste Vuillaume was not one to accept the limitations of his time. A constant experimenter, Vuillaume sought to improve existing string instruments and extend the range of the orchestra. This leads us to my favorite of his inventions, the octobass. 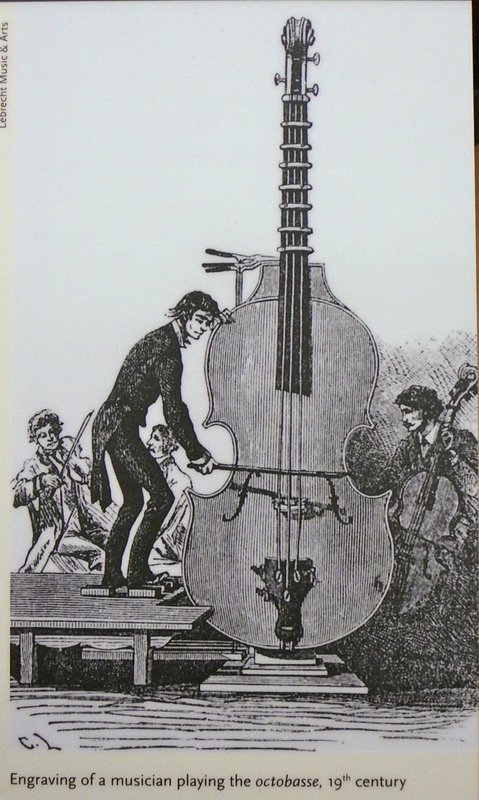 Standing at an imposing eleven and a half feet tall, the octobass is so large, players have to pull levers on the heel of the neck, connected to pads over the fingerboard, to fret the strings. The three string octobass was tuned an octave below a modern double bass with an extension, all the way down to a C0 (16.25 Hertz). That is a full octave lower than the lowest C on a piano. Here is a short video of Nico Abondolo warming up on an octobass before a recording session. Here is an octobass playing with an orchestra for a bit more context. P.S. Gig tonight at the Lizard Lounge in Cambridge, MA. Show starts at 9:30.